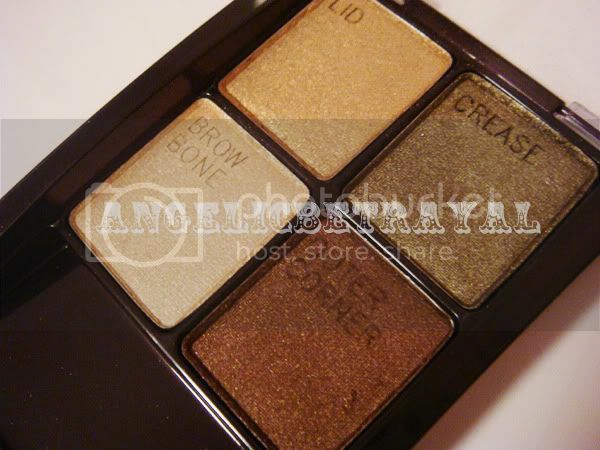 Unlike the Chai Latte quad I reviewed HERE, this quad is made up of all shimmery colors and there are no mattes. 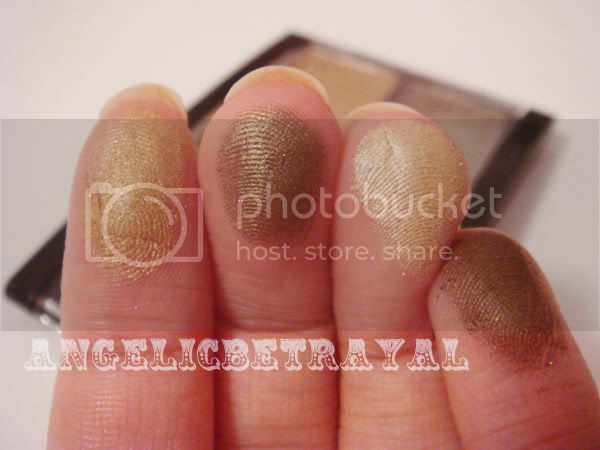 The lid color is a shimmery dark beige color, the crease a shimmery olive green, the browbone a gorgeous shimmery bone, and the outer corner a velvety smooth chocolate brown. The color combination is pretty good and I think people can create a really easy look following these directions :) You can also use the green shade on the lid and blend the brown in the crease and outer corner for a different look. The browbone shade would look great in the tearduct and inner lids as well! I'd probably use that shade for that purpose instead of a browbone highlight since I don't like really shimmery highlights. That's great to know Yuki :) I'll continue doing these posts then!